What a whirlwind this past weekend was! From the insane awesomeness that was The Avengers on the big screen to Free Comic Book Day, most genre fans were enjoying a pretty booked schedule. However, once again Netflix manages to be the icing on the cake for a near perfect weekend. As of last night, all 65 episodes of Sunbow’s G.I. 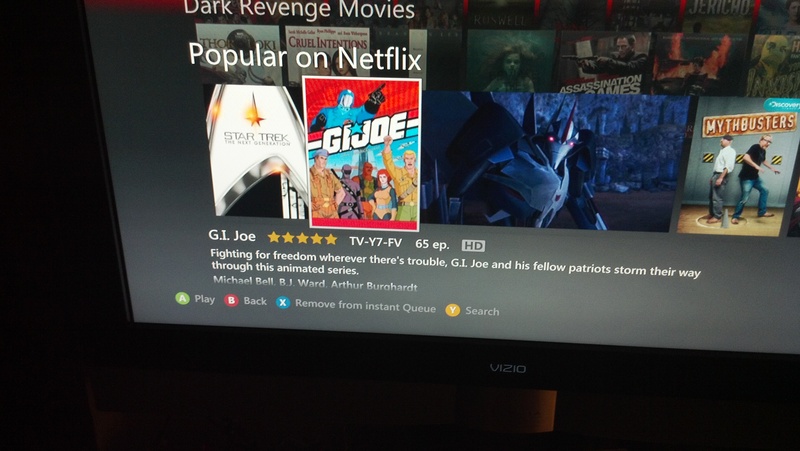 Joe: A Real American Hero animated series are available on Netflix Streaming! That’s right– from the first episode of the MASS Device to “Into Your Tent I Will Silently Creep”, every animated adventure from the first series is available by PC, Xbox LIVE, PS3, and Wii. Retaliation trailer now on Xbox LIVE! Thanks to the new YouTube app on Xbox LIVE, Joe fans can watched the insanely slick trailer for G. I. Joe: Retaliation in their living rooms in glorious HD.